Friday is the national Manufacturing Day — a day set to address common misconceptions about manufacturing impacts by giving manufacturers an opportunity to open their doors and show, in a coordinated effort, what manufacturing is, and what it isn’t. 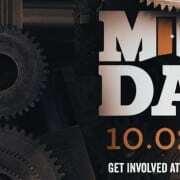 Created by Founding Partner Fabricators and Manufacturers Association, International in 2012, MFG DAY is a celebration of modern manufacturing meant to inspire the next generation of manufacturers. Manufacturing plays a much bigger role in our lives than we might think. Manufacturing is diverse. The wide range of companies and their products reflected on the interactive, infographic map shows a bit of the breadth the industry provides each of us. Manufacturing supports 18.5 Million U.S. Jobs. 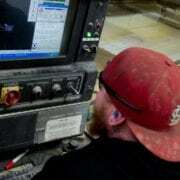 Manufacturing career opportunities include engineers, designers, machinists, computer programmers and so much more. Every year, the organizations behind Manufacturing Day, as well as other manufacturers, create a number of resources to raise awareness and educate people about the importance of manufacturing in our economy. Cooper Standard, a leading supplier of components and systems for the automotive industry, created a visual method of exploring careers in manufacturing based upon the level and type of education required. It’s a great way to see the many diverse career opportunities available in manufacturing — from production to product engineering and other supportive roles from communications to purchasing. The career tree is color coded by education level and careers are grouped by function. It is available in English, Spanish, and Chinese. The Manufacturing Institute’s Dream It. Do It. program created a toolkit to provide teachers with a number of activities and resources to expand students’ knowledge and awareness of the manufacturing industry. The guide includes links to videos, printable handouts, research and assignment ideas, and much more for students in grades 6-12. Manufacturing Day is an annual celebration of modern manufacturing during which manufacturers invite their communities — including students, educators, businesspeople, media, and politicians — to their facilities in a collective effort to educate visitors about manufacturing career opportunities and improve public perceptions of manufacturing. 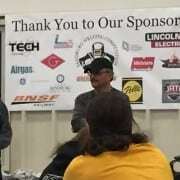 Started in 2012, MFG DAY has seen participation grow dramatically over the years. This infographic shows the official numbers when it comes to the number of events, the number of attendees, and the how MFG DAY is affecting the public perception of manufacturing. Manufacturers throughout the country are hosting various events on Manufacturing Day to give people a better glimpse of what the manufacturing industry is all about. Events range from career expos to 3D printing shop tours to high school and college tours, and more! Some locations will be showing movies, others providing hands-on experiences and free skills training. 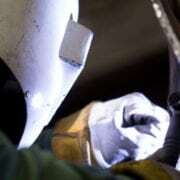 You can search for and find an event on the MFG Day website. Celebrate Manufacturing Day with a Virtual Tour of Fusion Tech! Fusion Tech Featured in Illinois Country Living Magazine Should Pet Food Processors Invest in a Meat Shredder?